This project was built to provide a shopping complex alond Idi-ape axis. It consists of 48 shops of varying dimensions. The construction is of sandcrete block walls, rendered and painted. The roof is of Nigerite crete tiles roofing sheet, the doors are of steel roller shutter with an exterior glazed door/window. The internal floors are finished with ceramic tiles while external flooring is rendered smooth. The finishing generally is of high quality standard. Combination of block wall fence and see-through metal railings at the approach elevation. ODU’A is currently redeveloping its properties in the Government Reservation Areas of Iyaganku, Jericho, Onireke and Agodi, Ibadan. 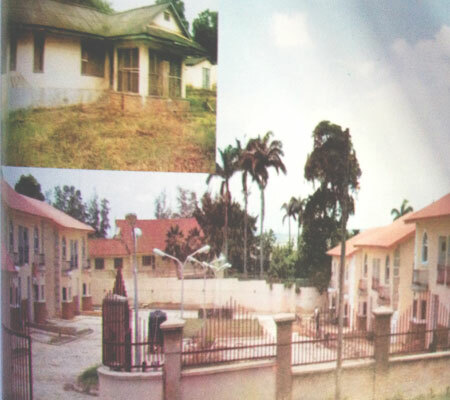 It started with Qtr 833, Iyaganku GRA where six blocks of two residential apartments each have been developed. Other sites will soon be redeveloped in order to maximise their use. The new Orange Court, a luxury estate of 12 apartments. Insert is the former two-bedroom bungalow on the plot of land. Heritage Mall is an ultra-modern shopping mall that was modeled to meet international standard. Heritage mall consists of a total letable space of 6820sqm. 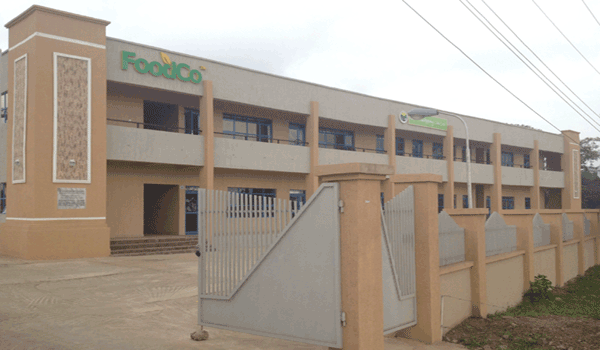 It presently has Cash & Carry as anchor tenants. Lifemate, Filmhouse, BookDirect among others. In line with the privatisation of the power sector by the Federal Government to address power problems in Nigeria, ODU’A is seeking technical partnership to jointly establish an independent power project in South Western Nigeria. In an effort to achieve this vision, ODU’A is currently repositioning and restructuring the Nigerian Wire & Cable Plc through the manufacturing of quality and durable wire cables for the power sector and E&O Power and Equipment Leasing Limited for the sales of power transformers in the next phase of its business strategic direction to support the power sector reform. ODU’A is currently partnering with other investors in the Oil and Gas sector. However, ODU’A is seeking technical investors in order to be more active in the upstream sector through bidding for oil wells. At present, in the downstream sector, ODU’A is actively involved in petroleum products marketing through Eternal Oil Plc where ODU’A is one of the investors. In order to boost the HealthCare sector and with improvement in the profitability of pharmaceutical companies in Nigeria, through the activities of National Agency for Food Administration and Control (NAFDAC) with the banning of fake drugs, ODU’A, in collaboration with either local or foreign investor, intends to set up an integrated pharmaceutical company. To this end, ODU’A is seeking technical / equity investor in this area.